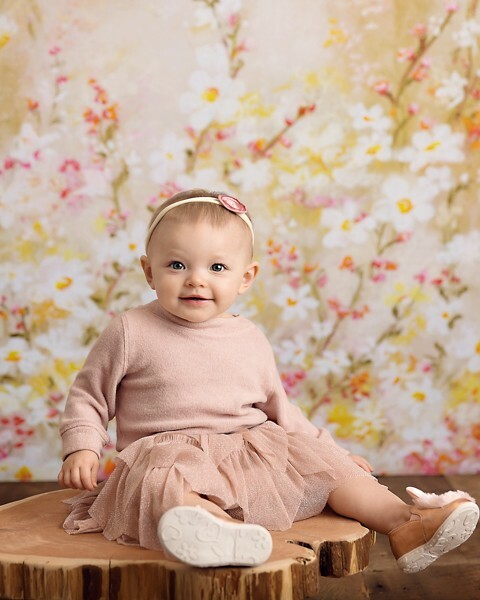 Happy first birthday, Felicity and welcome to the baby photographer Cleveland blog! My goodness, isn’t she just a doll?? She was seriously so happy and chill for her session, I could have played with her all day. I doubt her mom and dad would have been willing to stay that long though. I really do have the best job in the world! Felicity’s mom requested simple, neutral sets with florals. My favorite! I couldn’t help but pull out this fun hot air balloon though. How fun is it for a change up? Oh that little grin! And all those teeth! She looks like she’s ready for a steak dinner, don’t you think? This background by Intuition Backgrounds is always a fav0rite for little girls. Check out those shoes! I wish they made them in my size! Then again, it’s probably a good thing that they don’t. I’d totally dress like the babies then. Ah, the classic baby in a bucket never fails. How gorgeous is she? Really! This teddy bear came along for the session. It’s so adorable how much she loves this bear and is so fun to incorporate! I always recommend bringing along a favorite toy and non messy snack, not only does it provide a great distraction but prop as well! Thank you so much for stopping by the blog! 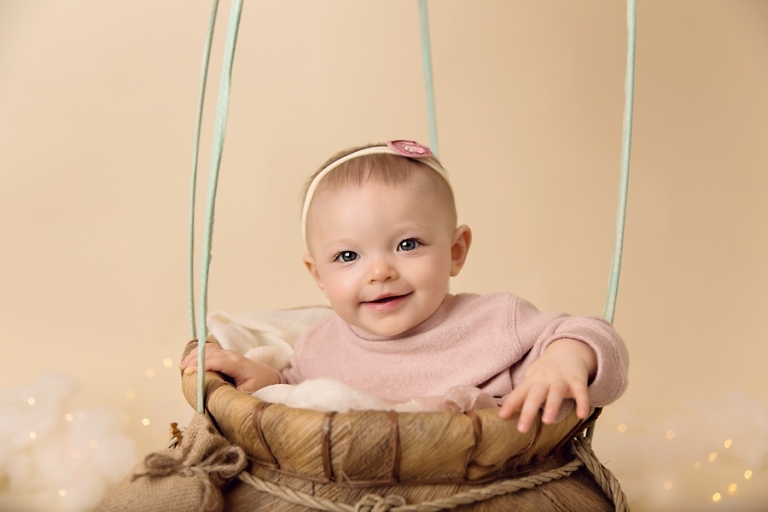 Interested in baby photography Cleveland? Please check out similar blog posts to see if my style suits you. 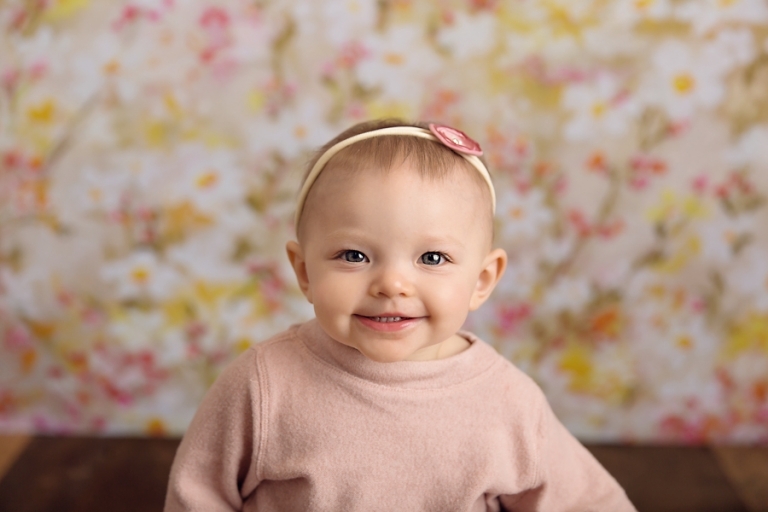 If your little one is about to celebrate a first birthday, I would be so honored to document the occasion for you! Cake smash and milestone sessions are perfect for this age! 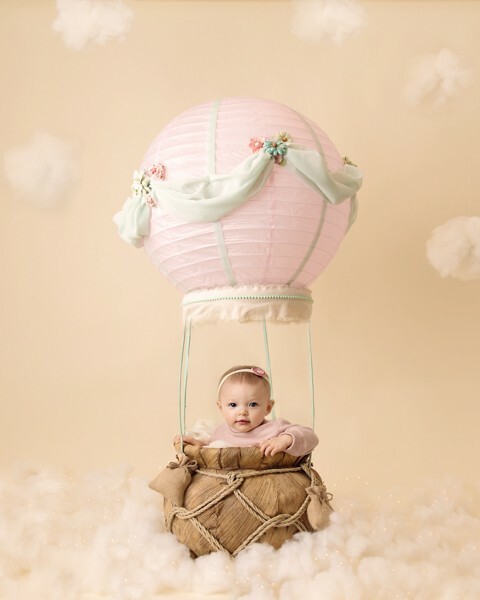 Props, outfits, and backgrounds are all provided, all you need to do is tell me what you would like and bring your little one!